Chandigarh, May 05, 2017: As the country's flagship programme of Digital India surges ahead, Connect Broadband market leader in wire-line and broadband segment in Punjab gears up to expand its rural outreach by providing broadband internet connectivity to 100+ rural and suburban towns of Punjab. To steam up the initiative and facilitate roll-out, Connect has tied-ups with global technology giants and is inviting local business partners and SMB's across Punjab including Chandigarh, Amritsar, Ludhiana, Jalandhar, Bathinda and Patiala. The partners will be mandated with an on-ground support role to strengthen the rural area network which will further lead to their growth and increased employment. This will also boost the technical skills of rural youth. 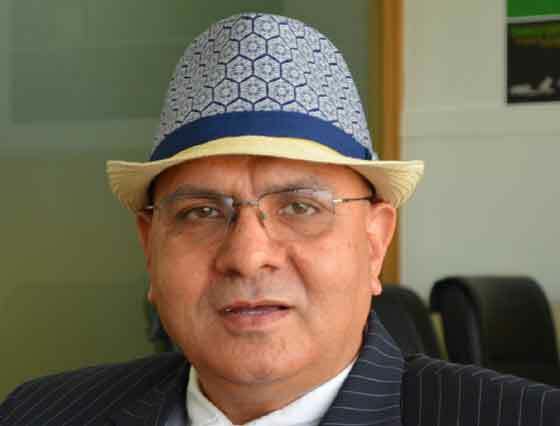 Arvind Bali, CEO Connect Broadband said, "We have invited partners from various entities across Punjab. We pledge to embark the mission of building up broadband services in rural areas and transform India into a digitally empowered society. The focus on rural citizens is as equal as urban and hence the initiative to digitally enable 100+ rural and suburban towns with broadband connectivity. The company is investing heavily on deploying digital infrastructure components in Punjab so that every citizen of Punjab has access to internet. We have also invited applications for partners to enable a seamless roll-out of the program. Our mission is to transform the lives of people in long run, ending the digital divide in the society, and help drive one of the key agendas of government's Digital India vision." With clear leadership in Punjab in Retail & Enterprise segments for the last 15 years, Connect Broadband is planning to invest Rs. 500 Cr to help spreading the digital reach, and to further strengthen market presence in Punjab by deploying VDSL technology on copper network which is the latest deployment in international market and offers five times more speed than DSL. Company has also invested heavily in Network readiness for future; to create 'New Connect Xpressway' Connect Broadband invested Rs.118cr in 2016. Connect Broadband has laid out its own 6000km fiber network across the state and has also deployed latest technology with the state of art infrastructure at NOC (network operation centre) which enables the best in class services to end customers. Furthermore, Connect Broadband has diversified its telecom portfolio to enter in the business of Smart Solutions (Bulk Voice and messaging business), Smart cities, Security-Surveillance and Digital Marketing, in a major step forward. The company has taken a number of initiatives, ensuring the adherence to Government's vision of Digital INDIA. What's more? CONNECT also provides Wireless Broadband service across Punjab. Offering high speed internet through a wireless medium, CONNECT Wireless Broadband enables users to access internet through their Laptops, PCs, Tablets, Wi-Fi enabled phones in the wireless vicinity & FTTH which is a Broadband telecommunications system based on fiber-optic cables and associated optical electronics. The technology reaches the boundary of the living space, such as a box on the outside wall of a home. Quadruple play of high-speed broadband, high-definition video, unlimited 'anywhere' telephony, and real-time surveillance are a few key take-aways for users.